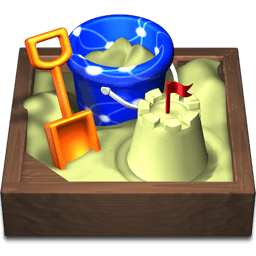 Jim Kofron used Sandvox to build this website. He chose the “Krypton Pro Gallery” design for the site. People may want to visit the site if they are looking for Photography in Wisconsin. My website has a blog, which has quite a bit of photos as well as what's happening locally. There's lots of references to dogs (we raise Curly Coated Retrievers) and kids (we raise three of those). I have a couple of pages of "top 12" photos, one for B/W photography and one for color photography. There's a set of galleries for thematic work that I've done over the years, and there's a community gallery page that has galleries of local interest (like cast photos for the local school). Family, friends and coworkers are the people who are most interested in this site. I also get a lot of interest from prospective puppy owners once a litter of puppies is born—I chronicle their lives with the camera. Finally, people who are interested in photography may enjoy the site, especially those interested in landscape work, portraiture, and animal photography. One thing that I wanted to do with my website is to continue to use my Jalbum based photo galleries in conjunction with the Sandvox main site. I like the additional control that I can get with Jalbum. By using the "List of Links" page, I find that I can very easily do this. I may eventually generate a thumbnail per gallery and then put these into a rich text page and link to the external pages this way---but for now, this is pretty easy. This website was created by Jim Kofron of Wisconsin, US.